Situated minutes away from Liberty Village in Toronto, with hundreds of stores and restaurants right at your door step, Dufferin Crossing is the building to be in. 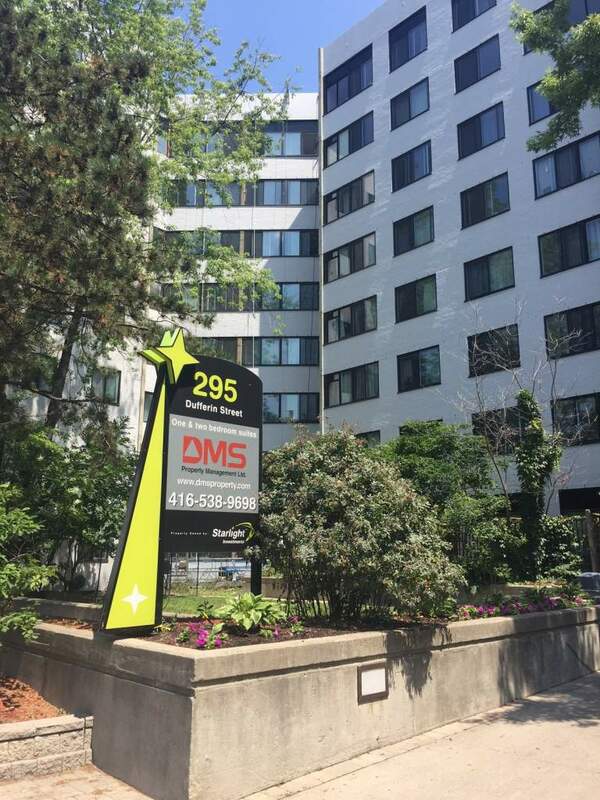 This building has the luxury and convenience of downtown Toronto, but with apartment space of the suburbs! Each one of our units are oversized and has been fully upgraded, with 4 pc stainless steel appliances, granite countertops, new windows, hardwood flooring and much more! This highly secured building has on-site staff ensuring all tenants safety and needs are met all year round. Dufferin Crossing was designed to offer comfortable and luxury for its residents, with large and well curated layouts. Choose one of our suites as your next home today and DMS Property Management Ltd. will ensure pure satisfaction!